Crankbaits are great for fooling bass in November. Here’s your primer on which ones to use and how to fish them this month.For those of us fortunate enough to live in the South, picking our “favorite” month to fish for largemouth bass isn’t easy. Depending upon how one fishes, and where he or she does it, any month can be a favorite. And you can start a lively argument at any fish camp as to which one that is.Despite which month is currently getting the most votes, however, you can bet that November will be well represented in the polls.Regardless of where one lives in the region, November marks a definitive end to the summer. In some areas, it’s a definitive beginning to the winter. In either case, it’s a transition period that sees bass moving from the high temperatures of the summer months and preparing for the chill temperatures of winter. In the process, they go on a major feed to build up fat reserves before the cold slows their metabolism down. Unless your bass fishing involves farm ponds, small lakes or creeks, you can bet that heavy feed is going to be centered on shad.Shad are a major forage item in many larger water bodies. By November, the young-of-the-year shad have grown to a respectable size, and the mature baitfish that have reached life’s end are beginning to die off. For a bass, that’s a shad bonanza that makes for easy feeding.For anglers, that means any lure imitating a shad is likely a good choice. 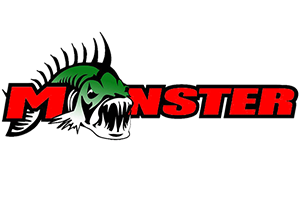 In that respect, it’s hard to argue with crankbaits. When it comes to imitating a shad, they’re as good as it gets. And these lures work darned near anywhere bass and shad meet for supper: if you have a basic selection of types, colors and the proper gear to toss them on. When it comes to proper equipment, too stiff a rod action costs anglers fish. Even the biggest crankbaits seldom carry hooks larger than a No. 2 treble, and many effective models feature hooks of No. 4 or No. 6. Such hooks don’t take a deep bite, and if there isn’t some flex in the rod tip, they can be ripped free. A number of makers offer rods specifically designed for crankbait use. Those have a softer tip section mated to a medium-action lower section. But many anglers, whether opting for casting or spinning gear, find a medium to medium-light action rod in the 6-foot, 6-inch to 7-foot length to be very effective with a properly set drag on the reel. If one chooses braided line — there’s no reason not to since it increases casting distance and can get diving crankbaits to run a bit deeper — then the drag setting is critical with either rod type because this type of line has no stretch. As for the crankbaits to use, savvy anglers want a mix of floater/divers, wake baits and countdown models. Here’s a quick look at how to score with these three different baits. Long-billed floater/divers are ideal for probing sharply dropping structures like the outside bends of creek channels or riprap banks, as well as deeper areas of submerged points, mid-lake bars and shoals. They are also excellent bets around standing wood: whether that is trees or dock pilings. All of these structures can be bass magnets this month since they are easy places to ambush shad.Being able to handle all these cover situations requires a selection of baits, but not a big selection.All of the floater/divers have an optimal running depth, and that differs with models and is generally marked on the packaging. An effective selection includes a few models that run in the 6- to 9-foot depth range, some in the 9- to 12-foot range, and if you are fishing deeper manmade impoundments, you want a few ultra-deep divers that can hit the 15- to 20-foot mark. A basic selection of chrome or shad-imitating colors works well, but savvy anglers often include a couple in what might be called “shock colors,” like fluorescent chartreuse or even hot pink. The reasoning behind those colors is simple: When bass are found on deeper structure, they are normally schooled tightly. Some fish invariably hit the shad colors, but once every fish in the group has seen them and decided not to eat them, the bite stops. The pros have learned that hammering the area just a bit longer with radical colors can often trigger strikes from fish that turned down the standard colors. While casting and reeling the floater/divers can be effective, two other retrieve techniques can sometimes pay bigger dividends. When fishing standing wood, crank the bait quickly down to its running depth and then pause the retrieve to allow the lure to float up a foot or two. Then repeating that action as the bait is returned to the boat can often trigger strikes from sluggish bass. 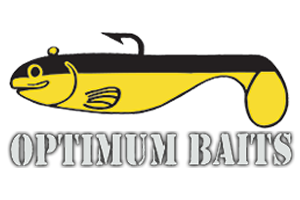 Many takes occur as the bait changes direction and floats upward.On deeper bars and points, selecting a lure that runs deeper than the depth of the bottom allows will bang the lure into the bottom. Allowing it then to float up, and repeating the action can also be effective.In either of these cases, the erratic retrieve can indicate a dying shad, and an easy meal to the bass. These relatively new breed of crankbaits are characterized by short, squat bodies, a square lip that is very abbreviated, and a running depth of around a foot beneath the surface. Some, like the new Mann’s Walker, won’t get more than a few inches below the surface. They are ideal tools anytime shad have been pushed into shallow cover, like cypress knees, brush, submerged grass or hydrilla that has a foot or so of water over the top of it. The short, square bill bounces off obstacles and allows its use in places other crankbaits would foul.Run them slowly and they push up a wake — hence the name wake bait — that looks a lot like an injured shad. Run them faster and they look like a fleeing shad. Characterized by the Bill Lewis Rat-L-Trap, Luhr-Jensen Sugar Shad, Cotton Cordell Spot, and others, these are called “countdowns” because they sink at rest and stay relatively close to the depth at which the retrieve is started. That makes them useful for probing different depths, but their biggest advantage for anglers is speed control.Whether you crank them at a leisurely pace, or burn them as fast as your reel can crank, they deliver a compact tight wobbling action. Many models also add a noise-making feature.The size, whether you’re using a 1/4-ounce model or a larger lure of up to a full ounce, can be a perfect shad-imitating shape. Few experienced anglers leave the dock without at least a few in 1/4-, 1/2- or 3/4-ounce sizes. Colors to have are chrome finishes, muted shad colors like Tennessee shad, or bleeding shiner.When surface schooling bass — a common occurrence during the fall — are encountered, these baits are deadly and often should be the first lures grabbed. But their effective use goes well beyond casting to breaking fish.Countdown crankbaits can achieve a retrieve speed much faster than can be realized with a lipped crankbait. The old adage “speed kills” can certainly apply here, because speed combined with the right angle and depth can trigger strikes from bass that have no intention of feeding. The presentation is the key, and anglers have found that a high-speed retrieve that brings the lure into the bass’ line of vision at a quick pace, from behind and above the fish often triggers a “reaction” strike. It is much the same as dangling a ball of twine in front of a cat to make the animal swipe at it.Determining the direction the fish are facing can be impossible, but there are some situations where anglers can get a good idea. In any place where the water is moving, bass normally face into the current. Positioning the boat to cast with the current can increase success.If current is absent, wind can substitute, because bass also normally face into it. If there is a wind blowing parallel to a grass line, hydrilla line, riprap or other cover edge, savvy anglers move the boat tight to the cover and cast with the wind. There are a number of lures that can bring success in the fall. But if you put your faith in crankbaits, you’ll boost your odds.